As we know grocery store prices have been climbing for several months, and the larger your family, the larger your grocery bill. On December 29, 2010, Agriculture Commissioner, Todd Staples stated that Americans spend less of their income (only 10%) on food as compared to Mexico (22%), China (28%) or Russia (28%). Wages in these other countries are typically low so these percentages are useless in my opinion. I don't know if he made this statement to make Americans feel better but it didn't work for me. Over the past few years food prices have risen faster than anytime since 1990. The increases we are seeing are particularly noticeable in staples, such as milk, eggs, meat, grains, vegetable oil, beef and bread. With the recent flooding, tornadoes, late spring frosts, hurricanes and the sharp increase in fuel lets us know these prices are going to continue to climb. This is a very serious problem, especially for those that are on a fixed income. As a point of interest, Forbes states Americans spend their money differently than they did a few decades ago. 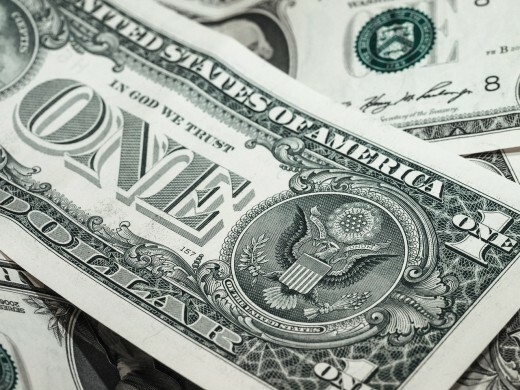 Housing expense is the one thing people in all income brackets have in common as their largest expense, which is typically one third of their annual income. Of course, it is more difficult for the lower income families. This is a big increase from 1960, when Americans spent just 14.6% of their budget on housing. The second biggest expense for high-income families is transportation at 17%, but for lowest income families 17% is barely adequate for their everyday expenses and food takes the biggest portion of the 17%. Interestingly enough, Americans eat differently also. The higher the income the less people spend on groceries (about 6%), while middle income spend about 9% and low income families spend about 12%. Another change is people are busy and don’t want to cook, so while the overall average food budget might be 13.3%, 42% is spent in restaurants. When you look at the big picture, however, by the time you get the family in the car, drive to the restaurant, you have the expense of fuel and maybe a 20-minute drive, depending on where you go to eat. Then, you usually have at least a 10-20 minute wait to get seated, and then wait to get served. The cost of the meal is surely more than a home cooked meal, and in many restaurants it is much higher. Next, you have the drive home. You certainly haven’t saved any time, and you have definitely spent more money. Sure, it is pleasant to eat out, but can you afford it? The best way to control this expense is to plan ahead; decide what you can afford and how often you can afford to eat out, and then plan ahead for those occasions. The biggest problem for most people is they suddenly decide while driving home from work to stop for fast food, and it's very easy to spend a lot of money if you stop for fast food very often. Grocery stores put particular items on sale every three months, so you can probably expect to see something like coffee on sale four times a year. As you become aware of the cycle, plan to stock up on this item when it is on sale, and save your coupons for the sales. I always stay stocked up on coffee and toilet paper, as I consider those to be the most important necessities for the home. It is certainly more economical if you make a home cooked meal. There are many ways that you can save money at the grocery store. Limit the number of time you go to the grocery store to once a week, and if you can make it two weeks that is even better. Check your cabinets and freezer ahead of time so you know exactly what staples you need, and then make a grocery list. Plan your menu for the week, and the advantages are your life will be much more organized, plus you have the ingredients on hand that you'll need to make each meal. There are many tips that we've all heard before, such as, never go to the store hungry, and it's better to go alone. Also, don't buy anything that's not on the list unless the product is something you absolutely need. Couponing has become very popular. Many more people are using grocery coupons than ever before. 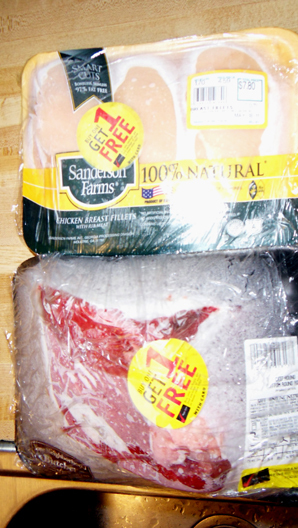 If you are using coupons for groceries it is a good idea to have the coupons organized. Get them out before you enter the store, and they should match the items on your grocery list. Coupons can be a hassle to use in the grocery store if you're looking through one envelope that's not organized, as it's very time-consuming. Many people are using coupon organizers that have clear plastic holders where they can arrange similar coupons together. My coupon holder has labels, such as condiments, frozen food, canned food and so forth, which make shopping much easier for me. 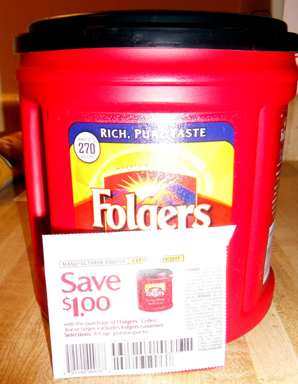 Coupons can be found in your Sunday paper particularly, and also most stores print a circular, which includes store coupons, as well as, their sales. Sometimes stores will even have free coupons just to get you in the door. Also, notice the in-store coupons as you walk down the aisles found in dispensers hung on the shelves. 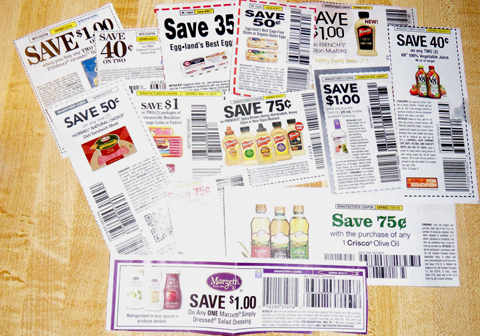 Magazines are another good place to find food coupons, and printable coupons can be found on the internet. Some stores have a box with coupons at the door where people put coupons that they are not using, and they take coupons they can use. One thing I do is go to the store early in the morning, particularly if I am going to be buying meat. This is the time of day when they mark meat down that's going to expire in that day or the next. 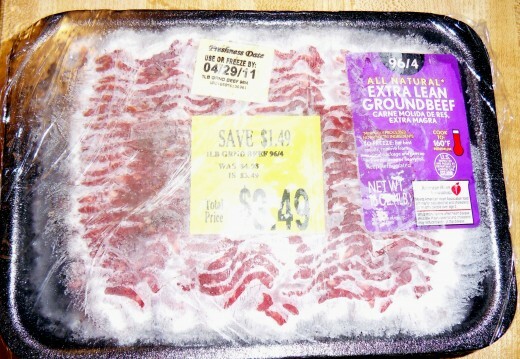 I check the dates and buy meat that will expire tomorrow which is a huge savings. As soon as I get the meat home I rewrap it and put in the freezer. Also, watch for the buy one get one free ads. Pay attention to the price per pound and the quality of the meat, as sometimes you are getting a good deal but not always. On perishable items like yogurt, milk or eggs. I make sure I get the product with the expiration date as far away as possible. 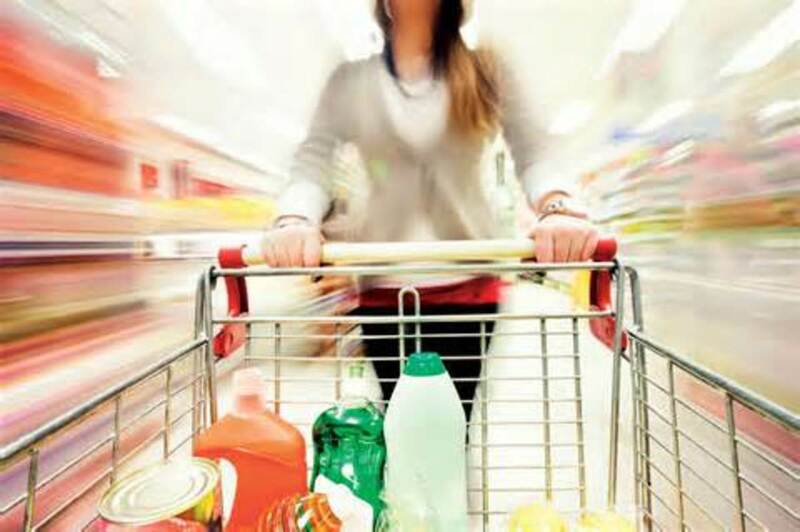 Plan your trip to the store to minimize the number of times you walk up and down the aisles. Try store brands, as often their quality is the same as the higher price items. Stock up when things are on sale, which is also a great time to use your coupons. Avoid processed foods and cook meals from scratch. Some people use a calculator to keep track of what they're spending. If a store in your area has double coupon days and obviously that's the day to shop. If you have a produce market in the area where you live, it is the best place to buy your produce as the prices are almost always less and produce is fresher. Shopping at grocery outlets can save you money if you want to buy in quantity, but check your prices carefully to make sure that it is a savings. Eating more fruits and vegetables and cutting back on meat will save you money. Drink more water or make iced tea rather than purchasing caffeinated beverages. Always fill out and send in your rebates. It conserves time and energy to cook a double batch of a meal so the next night all you have to do is heat up. It is usually not worthwhile to go to two or three different grocery stores just to save a few cents on different items as it takes a lot of time and considering the price of gas it is probably not worthwhile. When you get up to the register in the store set your coupons up on the area where the ATM machine is so you don't forget to give them to the cashier. Since I have forgotten to give my coupons in the past I can tell you its very frustrating. Watch the register as the cashier rings up your groceries, as many times you can find errors where they haven't entered the sale price into the computer. Budgeting can be very difficult with all the rising prices, and there are only a few areas where expenses can be reduced. People are driving less and consolidating their errands to save gas. Groceries are probably the best way to save money. Have your habits regarding grocery shopping changed in the past few months? I drive less and buy less expensive food, using coupons. I cannot spend the same money on groceries I did a year ago. Nothing has changed about my shopping habits. I've started using a shopping list regularly and use some coupons. I'm so glad you found this article helpful, and I appreciate your comments. Support Med, Thank you for your comments. cherrycrime, I'm glad you enjoyed the hub and I appreciate your comments. thelyricwriter, I'm so glad you found the article helpful. Thanks for your comments. Hi there Pamela. These are really some great tips that you have. Coupons can save you some big bucks over time. Very useful and voted up. Great article. LVidoni, Thanks so much for your comments. Thanks for the tips, Double coupon days are where it's at! Hanna, True enough. Thanks for your comment. Great article. I think Americans need to be very grateful we only spend 10% of our income on groceries. lazko, I'm glad the hub was helpful and I appreciate your comments. Great budget advices, it gave me additional perspective about that important topic these days. Thank you! Om Paramapoonya, I agree and I appreciate your comments. Journey, Thanks so much for your comments. R Talloni, I'm glad you enjoyed the hubs and I appreciate your comments. These are great tips, Pamela, and your hub layout is a neat example of what can be done to make them interesting. Thanks--I should have known all these tips by now. So glad you posted this! This is a great hub. Thanks. I enjoyed the video too! Audry, I think many of us have changed out lives. Thanks for your comments. Great points, Pamela - we've changed our spending habits drastically and our shopping habits. We won't buy ever unless it's on sale now and build our meals around the current sales. We also drive into town and do 2-4 week shopping for things that will last....we have the SUV jammed to the rafters along with 2 of our dogs but the savings are worth it! Bobbi, I don't like it either but I'm glad the hub was helpful. Thanks for your comments. Very useful and informative hub especially since grocery shopping is the one thing I hate most to do. Great info. novascotiamiss, Thank you for that information as we are all pinching pennies these days. What I also forgot to mention, I like to try out new recipes. I find the bulk stores great as you can buy small quantities there for that specific recipe and then it doesn't cost you an arm and a leg. Hope you'll enjoy my breakfast cereal recipe, it's really great. I got it from an american lady from Washington. Rev Lady, Thank you for your comments. God Bless. drbj, How could I have forgotten to list chocolate??? Of course, I agree. Thanks for your comments. noviascotiamiss, The Dollar Stores are a great suggestion as they do have low prices and weekly sales. Thanks for the addition to my hub. I will check out your cereal recipe also. Your remarks are appreciated. Actually, your hub has inspired me so much that I decided to publish my breakfast cereal recipe. It's not only inexpensive, it's also healthy. Hope you'll enjoy it. Another tip: I find that the Dollar store offers a few non-perishable food items at amazingly low prices. Some of them are the same brands or better than what you buy at your supermarket. I just wanted to mention this to people who don't dare going into a Dollar store, thinking it only sells cheap or inferior goods. Thanks, Pamela, for the many great and useful shopping tips. I completely agree with you that coffee and toilet tissue are absolute necessities but I would add one more ... chocolate. Would you agree? A very useful hub Pam, thank you. I believe in budgets and keep attuned to ways in which I can save money. Sinea Pies, I am not familiar with Aldis so I don't think there is one in my area but I also go to a specific store where paper products and soaps are cheaper. Stretching the dollar is the key. I appreciate your comments. Very good hub. Taking a closer look at where and how we spend money is healthy. Taking the challenge to stretch a dollar and still eat well is also. In addition to shopping sales, making lists and using coupons, I visit discount grocers like Aldis to get essentials like condiments and paper goods. always exploring, I started keeping a pad on the refrigerator last year and it helps me not forget needed items too. Thanks for your comments. prasetio, I certainly appreciate the thumbs, up as well as, your comments. This is really great info. Pamela. I use a grocery list when i shop. I keep a pad in my kitchen, when i need to buy, i jot it down. I've found you don't buy items you don't need as much. Thank you for sharing. Stephanie, You described my problem exactly in picking up extras when I make that stop for 1 or 2 items, so I try to avoid it. I appreciate you comment. Icbenefield, Not having a car would certainly force good planning on your part but it sounds like you work it out well. Thank you for your comment. anginwu, That's true. It is healthier. Thanks so much for your comments. Great practical tips. I know I've dine out less. Cooking your own food is not only cheaper but healthier. Rated up. Very useful and good ideas are presented in this hub. Many of these we incorporate. We don't have a car so we limit our shopping to once a month for the big list and once a week for quick use things like milk and bread. This makes it easier to find a ride. Most of our cooking is done at home and we use convenience foods for treats only or for when one of us is sick and cannot cook. We like to shop at a discount store where we have to bag our own groceries. Not having to pay for their bags cuts our bill drastically. Another way to save on the grocery bill is community dinners. Our church once a month hosts a dinner where everyone brings a dish. It can be as simple as opening a can of peas. But when you put it together with what everyone else brings, there is a feast to be enjoyed and no one had to fix an entire meal. For me, the very best advice is to limit the number of trips to the grocery store. Impulse buying is so easy when you run in for milk or bread and come out of the store with chips, cheese and ice cream. Like many, we have cut out eating at fast food restaurants and shop sales to stock up. By putting all of your advice together, we can surely cut our grocery bills considerably. noviascotiamiss, Thanks for even more good tips and it sounds like you are enjoying your well planned method of shopping. We just went to the Farmer's Market this morning for a lot of fresh produce. I appreciate your comments. Steph, I started using a shopping list because I would forget things and now it is to remember and to not buy things I don't really need. Thanks for your comments. Denise, Everyone one is being hit with higher prices and $5.89 does sound outrageous for fries. I enjoy eating out occasionally but it happens rarely these days. Thanks for your comments. Loved the stats you added to this hub, Pamela. I do use a list and always run into trouble when I 'forget' the list and try to remember what I wrote down-or worse, when I stop before checking cupboards and constructing a list. Pamela, this says it all. Another great hub. We are living on a limited budget and eat surprisingly well. I always get flyers in the mail. I will then study them carefully and make my shopping list for the week accordingly. Like you mentioned, we only go shopping approx. every 10 days. The less you go into the shops, the less you are tempted to spend money. While I'm making my list I also go through all my coupons. Another great tip is to go shopping shortly before a long holiday when the shops are closed (Thanksgiving, Christmas etc.). They will quite often sell fresh groceries like baked goods, vegetables or meat and fish at a greatly reduced price. Also look out for marked down food and gifts after Christmas, Easter, mother's day etc. I usually buy most of my premium chocolates after Christmas. Frugal shopping has become a bit of a hobby for me and I am really proud and happy when I see a whole shopping cart full of amazing food at a low price. Like you I cook just about everything from scratch and I also have a big garden. We hardly ever eat out as we prefer our own home cooked gourmet meals. I always buy my fruit and vegetables at the local farm shop, where they are a lot cheaper than at the supermarket and I know that they are produced locally. Regarding spending more money on housing and transportation than in the 60's: This is a no brainer. Middle class families used to life in middle class houses and owned 1 car. Now everybody is living in a big mansion and owning at least 2-3 cars. We've got nobody but ourselves to blame for this! Also, we didn't have credit cards in the 60's and paid in cash. If people don't pay off their credit card debt at the end of the month they should always add the interest to the purchasing price. This might make them stop buying all the stuff they don't really need. Susan, My father gave me that same number and yes, times have changed. Thanks for the comments. Great hub Pamela, I remember way back...when I was getting my first apartment and my Dad said to me "Don't spent more than 25% of your monthly earnings on rent" Boy have things ever changed. Eiddwen, I'm glad you enjoyed the hub and I appreciate your comments. Another very useful hub Pamela which I am sure many will benefit from. I vote up plus useful for this one and thanks for sharing. Ancillotti, I agree. I think a good plan is essential and I appreciate your comments. Hugs and cheers to you also. Pamela, once again your Hub is incredible. I think the only solution to the budget question is a good plan. Thanks for all the tips! Hugs and cheers! POP, I do the same thing but it took me many years to get that organized but it's really pays off. Thanks so much for your comments. Using a shopping list has been the best thing I've done so far. I buy only what I know I need because I actually check my pantry and my refrigerator and plan my meals for the coming week. Up and useful.